You’re Nigerian so I’ll take a wide guess right now that you have listened to Falz’s new track titled “Talk”, I’ll like to believe that I am right seeing that it has been trending over the past weeks and if you haven’t, you’re just a YouTube link away. This song attempts to spell out some obvious odds wrong with our system of Government quoting lines like “Elections don dey come, dem go need your support”, “4 years tenure, 3 years holiday”, “we bought your story but you didn’t give us change”, he even make a disguise in writing our two prominent parties as “CPA” and “DPD” while indicating all other parties as “Other”, don’t worry Falz, we got the inside joke. Note that varying artistes in the likes of 2Face, Sound Sultan and 9ice had attempted to address these issues only with minute results, we can only hope that this time, it plays out well. Failed systems, unkept promises, police brutality, appalling state of infrastructure amongst others are the background issues to people’s reluctance to vote with a small voice constantly reminding them that why do in the first place ,after all “my vote don’t count” knowing fully well that the results of the election have been prejudged. But have you ever asked the question “what if”? what if we are fifty votes away from the person that will actually bring the change we have been clamoring for? What if the set of legislatures we need to bring reforms to our educational system just needs four more votes? what if the real decision makers we solely desire to pass those important bills aren’t even known and are still regarded as the “Others”? What if? 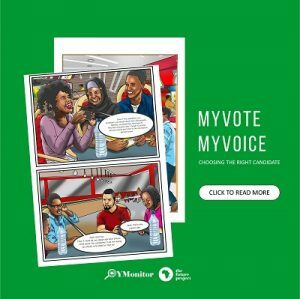 While it is understandable that the circumstances surrounding electoral processes in Nigeria isn’t that pleasant given the history, it’s not enough reason not to give it a shot. Therefore, to be fully aware of the options available to us, I would be providing you with necessary information on the profiles of candidates running for the Lagos Gubernatorial elections, addressing their party manifestoes, promises, policies and proposed actions. With this, you would be arm with the right information on each candidates, thus making the most correct choice.